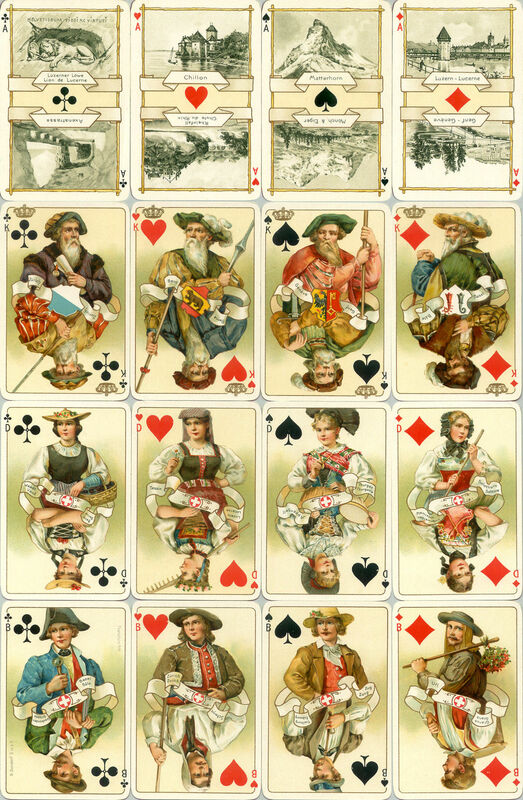 Schweizer Trachten Whist No.174 (Swiss Costumes) printed by Dondorf, featuring scenic aces and traditional costumes with different views at each end (click image to reverse). 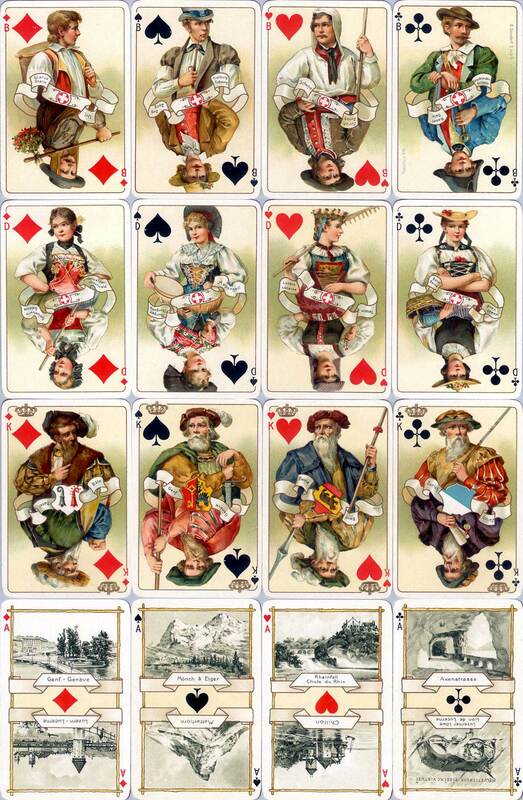 Various editions of this deck were published in chromolithography, with alternative back designs, between 1906-1933. The jacks and queens show young men and women wearing costumes of individual cantons. The four kings, with flowing beards and crowns above their suit signs, are senior officials from the four Swiss cities of Zurich, Geneva, Bern and Basel. The labels are on wavy banners, except on the aces they are angular. Above: From the collection of Barney Townshend. 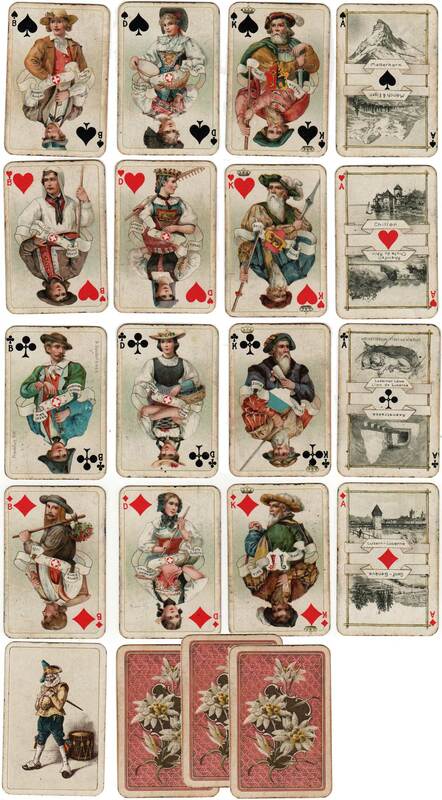 Patience-size packs of these cards were also issued with a single joker after c.1906. Above: Schweizer Trachten (Costumes Suisses) patience size (43mm x 65mm), after 1906. From the collection of Matt Probert.